Last Saturday we had a wedding at the funeral home. Yep, you read that right. 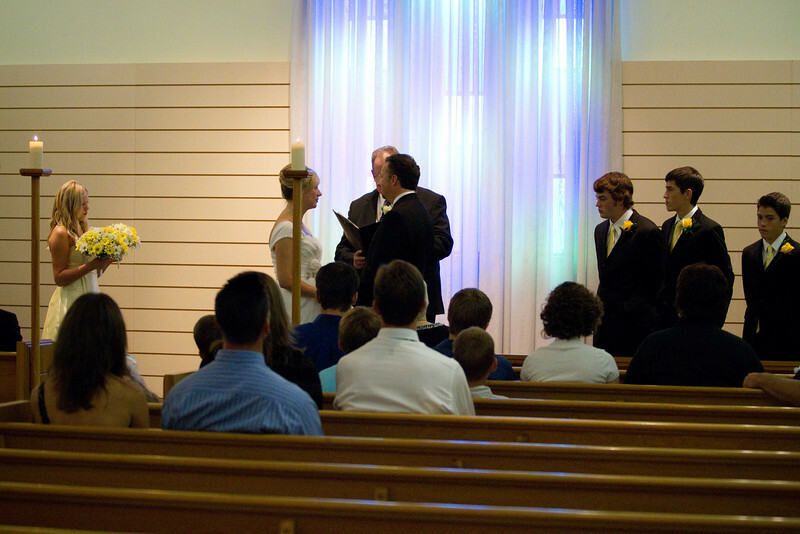 In fact that’s the 2nd wedding we’ve had in our chapel in recent years. 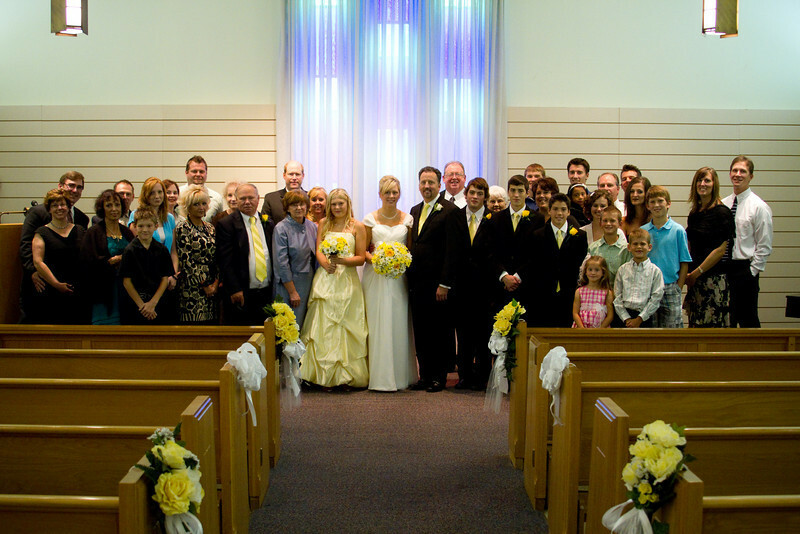 My good friend Doug, who doesn’t currently belong to a church, and his new bride Debbie, needed a place for a smaller wedding with 50 guests and a sit down reception following. Our place fit the bill just great. We have a chapel with permanent pews and seating for 175 people. We have a pipe organ (my great grand father had it custom made in 1928). sound system, built in video cameras to tape the wedding for grandma that couldn’t make it, a piano, big narthex for gathering, and changing rooms for the bride and bridesmaids. 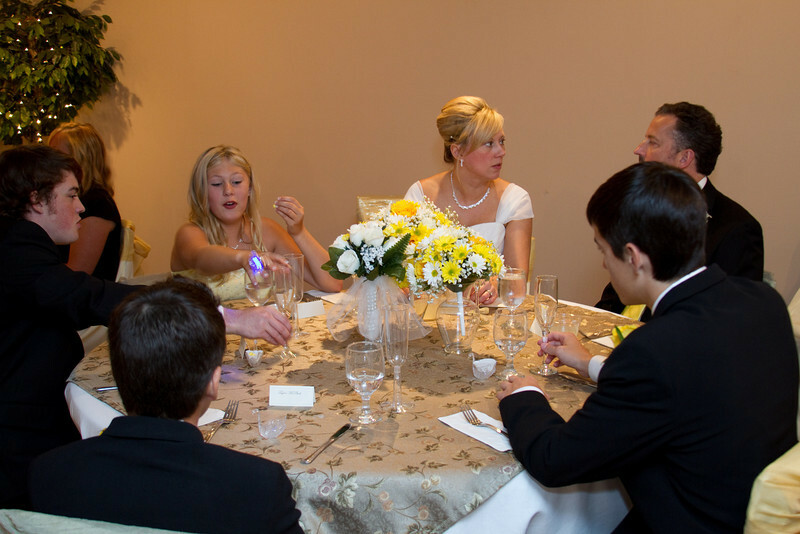 Our family center for receptions seats 120 people. The caterers brought in fancy place settings and all the food. We set up plasma screens in the reception area to show the video we put together for them. 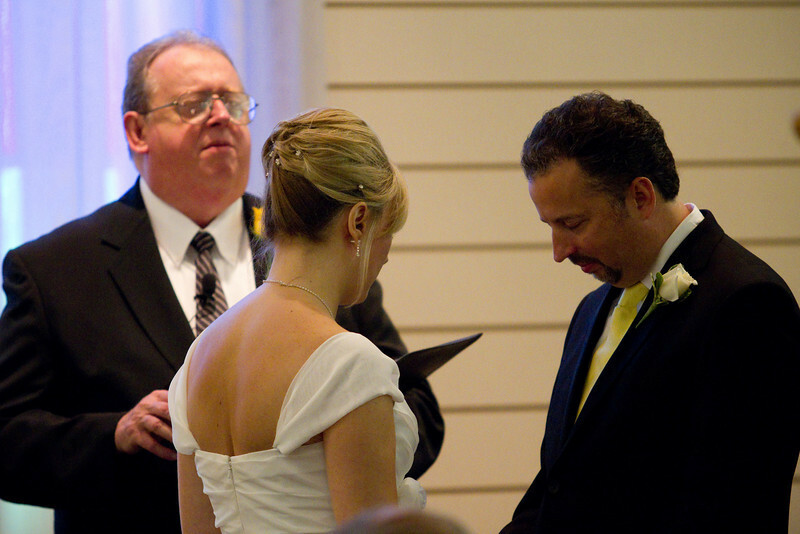 Doug’s father is a minister and performed the ceremony and I added a Billy Joel tune from the piano in addition to the traditional wedding prelude and postlude from the organ played by our regular organist. It went off just great. The bride’s family were amazed at how well we handled everything and said that my wife, Jodi, and I ought to be wedding planners. In a sense we already are wedding planners. Weddings aren’t a whole lot different from funerals. People gather, we play music, show videos, there is a processional and recessional. The minister talks. There is a reception following where people eat and tell stories. Some people cry, many smile and laugh, and there is lots of hugging. The main difference is that we plan funerals and have them in 3 days. Weddings can take months to plan. Which can also be a problem because the bride has “time to change her mind”. 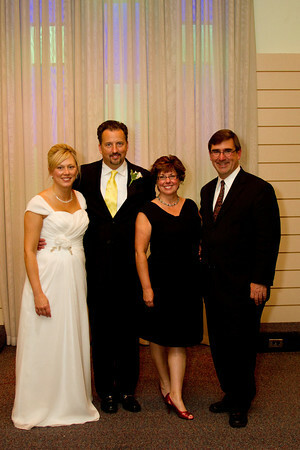 And Debbie did change her mind several times in the planning of this wedding. We just stayed calm and assured her we would make everything happen. And we did. Just like we do with funerals. Our main branch is a large funeral home. And most of it sits empty much of the time. I would love to do more events here. 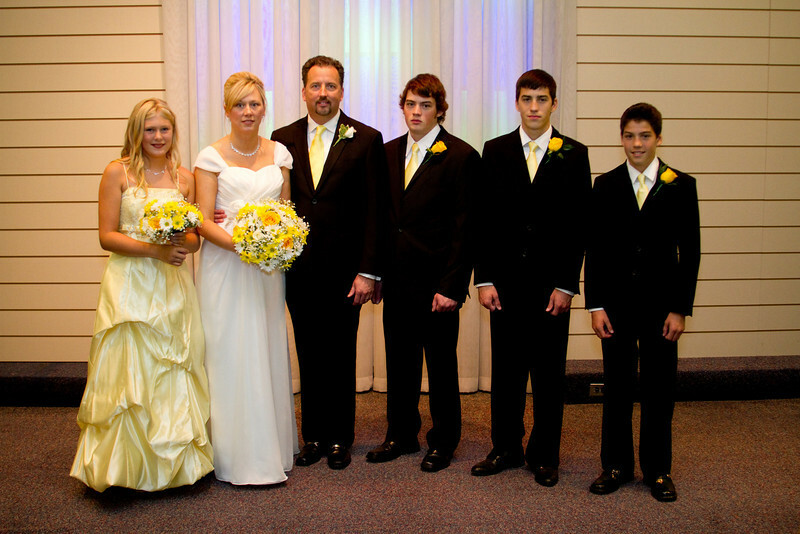 Weddings, graduation open houses, retirement parties, or anniversary gatherings. But the challenge is getting the public to see that it would be OK to have those kinds of functions here too. It’s the “Spook Factor” that keeps them from thinking that way. The folks that have used us for weddings were personal friends and knew that we are regular fun loving people and our chapel isn’t any different than a church. I have often wondered if I opened a different facility and just called it the Life Story Event Center, if people would embrace the idea that we can help them with any kind of event that they wanted to have. And if we had more events going on and we could keep the building occupied more then we could charge very reasonable rates and everyone would be happier. I’d love to hear from any of you out there. What do you think of this concept. There’s a topic that I think needs to be brought up here on this blog. For lack of a better term I’m going to call it Welfare Funerals. I use the term welfare because it’s what public assistance was called back when I first got into the funeral business. Since then the government agency that handles that kind of stuff has changed names several times to Social Services to Family Independence Agency, to Department of Human Services. The name may have changed but it still serves the same purpose in regards to my business. 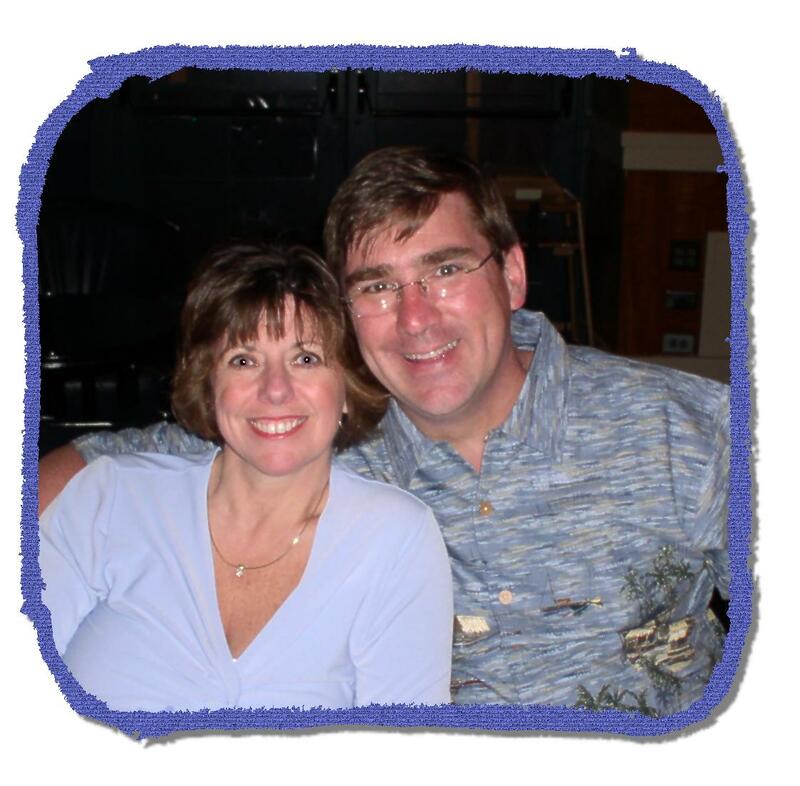 They provide financial assistance to families that have no assets for funeral expenses. The State of Michigan runs these agencies and sets the figures. The amount of dollars that they provide for families varies by the amount of assets the family has and what type of services they are planning on having. At the present time they provide $365 for a Direct Cremation, $600 if you have a memorial service and a direct cremation and $700 if you have a burial. And those amounts have decreased quite a bit since I first started in the funeral business 30 years ago. Back then they would provide $1700 for a burial. As state budgets have grown tight, the amount has been lowered. While our costs, just like your living expenses, have increased with inflation. We typically handle 15 or so welfare cases a year. We reduce our fees to help the folks in need. I know that most funeral homes do the same thing. I also look at this as my way to give back to the community. In dollar figures this amounts to nearly $50,000 a year in services that we provide at no charge. I know that hospitals, doctors and lawyers sometimes do the same kind of thing. Unfortunately we have had an increase this year in the number of people needing assistance. I’m sure the economy has a lot to do with that. But what’s been terribly disturbing is the attitude some of these folks have when they come to see us. There is a huge sense of entitlement. Typically their deceased family member has been living on government assistance for years and has no assets to speak of. So family members think that the “government” is going to pay for everything. When we inform them that the figures listed above are all that they can get from the “government” and that we require the family to pay additional funds for us to take care of things they are shocked. “What??? We’ve got to pay?? We haven’t got any money either” Yet they seem to drive in nice cars, have cell phones, smoke cigarettes, and carry soda bottles in with them. (yes, I’m stereotyping a bit but this is a true description of what I have seen dozens of times) They obviously have money for those things. Yet they have no sense of responsibility for the final care of their loved one. They expect the funeral home just to do everything they want for free. And all we are trying to do is recover enough funds to cover the cost of what we are doing. Here are two examples from the last few weeks. A man died with no local family, it was medical examiner case. We transferred the body from the place of death to our cooler. After a week the brother from out of town arrived. He stated that he wasn’t willing to contribute any funds beyond what DHS would provide. Plus he didn’t believe in cremation and refused to sign the authorization form. They had a small gathering on their own and then he left town, abandoning the body in our cooler. We had to file with the state and the medical examiner to get authorization to cremate finally after 3 weeks of paper shuffling and legal hassles. In another situation a women who was on disability died. She was living with her brother and had 3 adult children and one child living at home. Her brother and mother came in to make arrangements. They wanted to have a memorial service at our place. I told them I needed $700.00 in addition to funds that we could get from DHS and that they would have to pay for newspaper obituaries too. That’s less than 1/3rd of what I normally charge for the services they wanted. But they refused to pay anything. The mother said her daughter was an adult and made her own choices and that she wasn’t responsible for how her daughter ended up. The brother said he was on unemployment and couldn’t pay anything. Nobody in the whole family was willing to provide a dime towards the cost of what they wanted me to provide. Yet they went to the newspaper themselves and ran a paid obituary and then had a service and reception on their own somewhere. I’m sure they paid the newspaper, the gas station and the grocery store full price for everything they got. But yet they expected me to do things for little or nothing. Why is that?? I really don’t mind helping people out. But at what point do you draw the line? At what point should a family step up and take some responsibility? Plus an additional challenge is that once I have possession of the body, I’m stuck with it. I can’t give it back to the family. I can’t take it back to the morgue. In Detroit this year there have been hundreds of bodies abandoned at the county morgue by their families because they are unwilling to pay a funeral home for services. The state needs to figure out an equitable way to handle this situation. I’m willing to do my part, but it is not my responsibility to pay money out of my pocket for the final disposition, when everyone else involved gets paid in full for their part of the process. It’s time I write a little bit about my life outside of funeral service. Yes, I do do other things than work. It’s been a great summer here in Michigan. The weather has been hot, Lake Michigan has been warm and we’ve had a bunch of company come and visit. My wife, Jodi, and I have a cottage in South Haven, Michigan about an hour south of our home base in Muskegon. This summer we’ve been able to spend more time there. I’ve done a bunch of projects around the place. 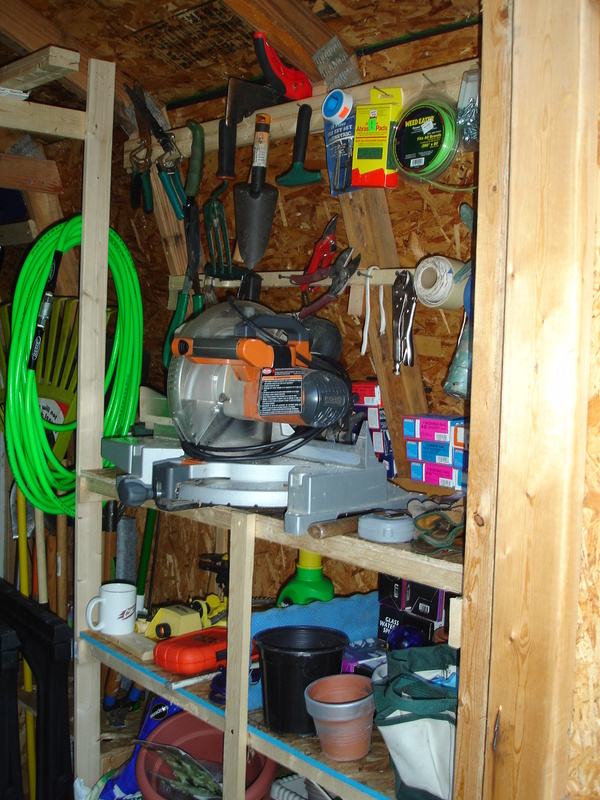 I built shelves in the shed, a new built-in linen cabinet upstairs, installed a new vinyl floor in the kitchen and constructed a homemade system of little cement dikes in the basement to hopefully channel the water that leaks through the walls into the floor drains. I had the professional waterproofer guys give me a bid to do the job but the $5000.00 price tag was a little too much this year. Not that they were asking too much. I really wanted to have them do it right, once and for all. But I’ve been listening to Dave Ramsey on the radio and his message about buying stuff on credit got to me. So I’ll save my nickels until I can pay cash for the job and hope that my band-aide job will do the trick for a few years. Now some people may look at all of that as work, but I really enjoy building stuff. We also helped a friend put on her wedding and I played piano for her while she sang at the rehearsal dinner. And I did some voice over work for a PowerPoint presentation for Jodi’s publisher. 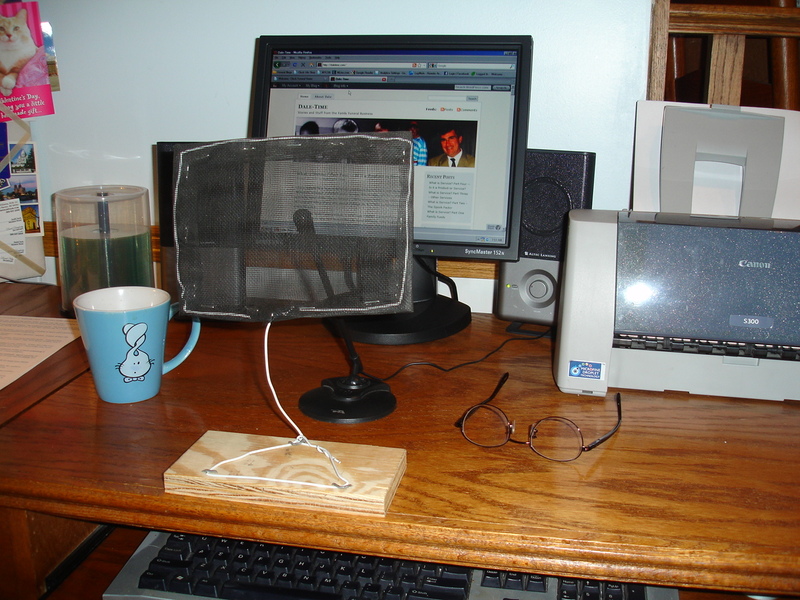 Here’s a photo of my professional recording setup.It’s a real MacGyver set up of wood, coat hanger and old screen. But it did the trick to keep the pop’s out of the recordings. Jodi is writing a book called “Keep Your Money – a guide to helping your parents handle their assets during their golden years”. Jodi has been in the funeral pre-need business for 25 years now and is a real expert on the ins and outs of Medicaid, Nursing Homes, Insurance and end of life planning. The book is due out in January of 2011 (If she can finally buckle down and crank out the last 2 chapters). And last Saturday was a real full day for me. I was the Master of Ceremonies and celebrant for a Life Story Memorial Service at the Funeral Home. Here’s a short video of the intro to that service to give you an idea of what we do at our place. 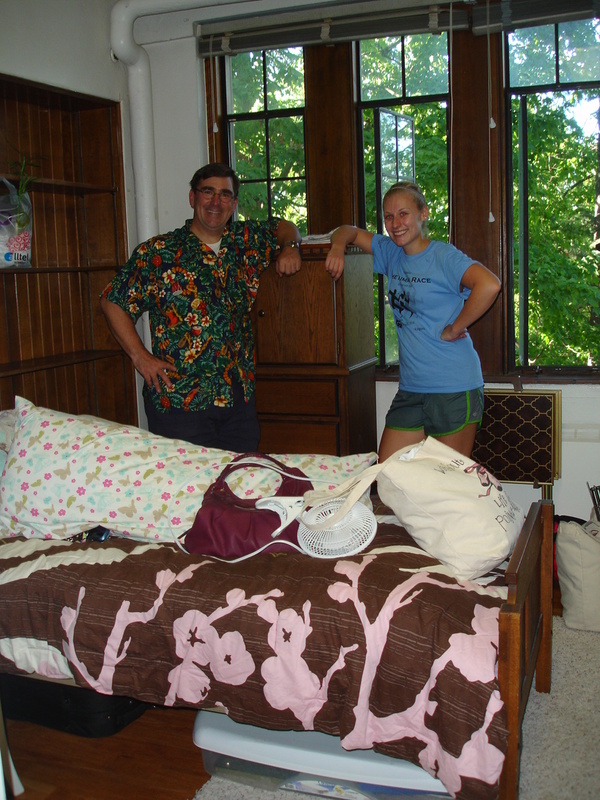 As soon as I finished that I got in the van and delivered a truck load of stuff to my daughter, Kellie, who was moving into her dorm room at Michigan State, in Lansing for her Junior year. She’ll be there for the first semester and then off to the Czech Republic in the spring for a semester of foreign study. 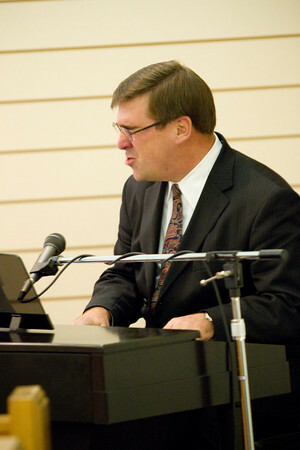 Then I drove back to Muskegon for a reunion gig with “Out of Control” the band I used to play piano for 20 years ago. It was great to see the guys and play again. The bar was packed and it was a late night and I remembered why I don’t do that anymore. My body can’t take closing the bar at 2am like it could when I was in my 20’s. But it was a great time. Now it’s moving into Fall and football season is upon us. I hope all of you had a good summer.